The art of finding a suitable tenant for you is second nature to us. As your letting agent we will handle every aspect of your property rental. In acting as your agent, in the truest sense, we take our responsibilities very seriously; from arriving at the highest rent the market will bear and collecting it, to overseeing the care and maintenance of your property. 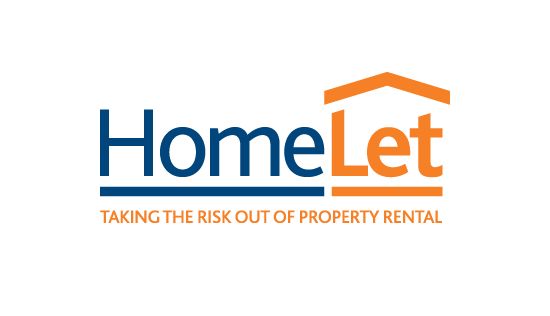 We are already well known in the lettings market in Harrogate and surrounding area, and we give people looking for a rental property every chance to find it. For example, the central position of our large and airy showroom amongst the town’s estate agents makes us a major stopping off point for anyone in the market. Starting with your ‘To Let’ board we will go on to explore every avenue of marrying your property up with a tenant. We have a major presence in the local press and an easy to use website for would be renters. We always have details of people looking for suitable property and we issue information through our comprehensive mailing list, which also includes major employers and relocation agents. Once we have found you a suitable tenant we will take up references, prepare the tenancy agreement, create a detailed inventory, read the meters and collect the deposit and first month’s rent. If you choose our management service we will do much more, including collecting regular rents, organising repairs and maintenance and carrying out regular inspections to ensure your property is being well cared for. We take great care to act in your best interest at all times and that gives you peace of mind. Should the applicant withdraw or the references prove unsatisfactory then the payment will not be refunded and will be used to cover all costs incurred. Should a guarantor be required to support the application he/she will also have to be referenced as shown above. He/she will be required to sign a legal and binding agreement, which is valid for the full term of the tenancy. Should the tenant fall behind on the rent the Guarantor will be contractually bound to pay that rent. To secure the property and take it off the market the applicant must pay the admin fee and deposit in full. This will remove the property from the open market, and no further viewings will be undertaken unless the applicant withdraws. In the event of the references being considered unsatisfactory, the deposit will be returned. Nicholls Tyreman are members of the Tenancy Deposit Scheme and all deposits are registered within this Government approved scheme. The initial monies paid must be paid in cleared funds i.e. cash or bankers draft, we do not accept card payments. Rental payments are made monthly by standing order. A standing order mandate must be completed and forwarded to your bank for processing at the commencement of your tenancy. The following repair information is for properties that are fully managed by Nicholls Tyreman, if we do not manage your property all repairs must be reported directly to your landlord. In the event of a problem at your property please call the office on 01423 530744 or email lettings@nichollstyreman.com, alternatively you can visit our office at 9 Albert Street, Harrogate, HG1 1JX. Please note that you must not authorise repairs to the property or incur any unauthorised expenses without the express written permission of Nicholls Tyreman. The cost of any work authorised by you or someone acting on your behalf without such written authority will not be reimbursed.